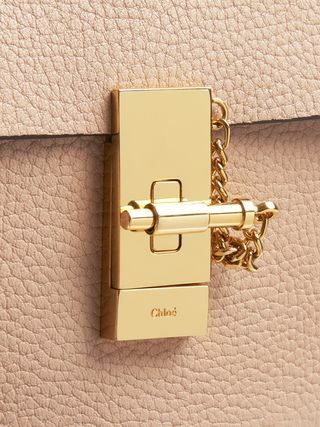 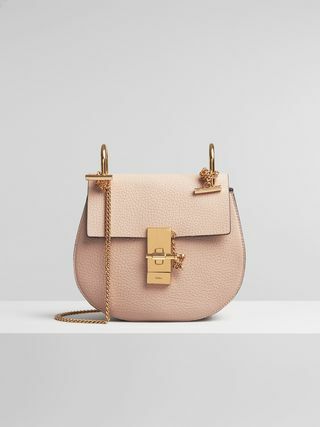 A feminine bag with soft lines and a 70s spirit, the Marcie handbag bears all the hallmarks of Chloé with its romantic curves, refined hardware and handcrafted braiding. 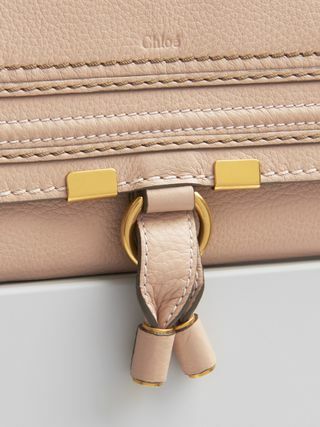 Decorative saddle stitches on the front flap tie in with the brass studs trimming the curved edges for an equestrian influence. 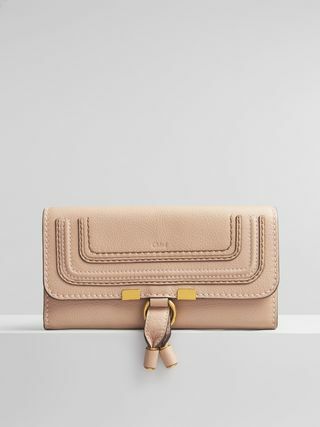 The casual swing of a tassel adds a bohemian note, with X-shaped buckles and the pink beige cotton lining adding unexpected details. 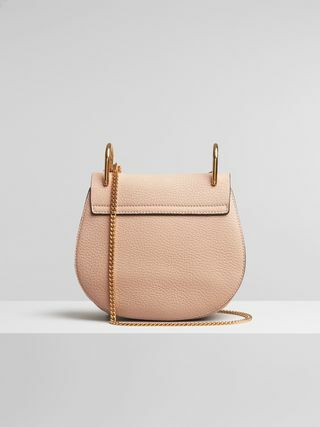 Double leather-wrapped handles and a long shoulder strap mean you can carry Marcie any which way.